That was how Golden State assistant coach Ron Adams told head Warriors’ head bench tactician Steve Kerr by way of paying tribute to Tex Winter, author of the the now widely-practiced triangle offense in basketball, who passed away on Wednesday at the age of 96. The same triangle offense that helped the Chicago Bulls and he Los Angeles Lakers win a combined nine NBA championships and earned for him induction into the Naismith Memorial Basketball Hall of Fame. 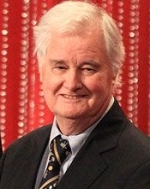 Winter was a consultant of coach Phil Jackson in that Bulls and Lakers’ victory run before his duties were reduced after suffering stroke April 2009. The man touched so many in the NBA community with his teaching, prompting many tributes, including Kerr himself, who spoke in as much detail as Winter’s observations about the game. Kerr said Winter “changed his life” when he played for the Bulls (1993-1998). When Johnson took the microphone, he shared a dream, saying, “I hope one day Las Vegas gets an NBA team,” to the roaring the applause of the crowd. The NBA doesn’t have any imminent plans to expand its 30-league team though or allow a team to relocate. Instead, Commissioner Adam Silver considers it a priority to ensure competitive balance in the league. The NBA considers Las Vegas an attractive venue. It has hosted Summer League there since 2004 and expanded from six teams to all 30. The Lakers also hosted preseason games annually since 2012 and also held games 16 other times in 1988, 1993, 1995, 1997, 1999, 2000, 2001, 2002, 2003, 2004, 2005, 2006, 2007, 2008, 2009 and 2010. It appears likely, though, the NBA would first add a team in Seattle and then in Vancouver. The former Seattle SuperSonics left for Oklahoma City in 2008 after spending 41 years in that Washington State City. The former Grizzlies were an expansion NBA team in 1996 and was relocated to Memphis. “You can say that about a lot of cities. A lot of cities enjoy basketball. They can be pushing for their team in their market,” said Warriors’ Kevin Durant, who has publicly vouched for Seattle to have an NBA team since playing for them as a rookie in 2007-08.